Did you say you were looking for Asia’s ultimate party island? You want unforgettable weekends and beachside bashes with cool swag for your Insta-diary? In that case, you’ve come to the right place. Gili Trawangan is known as the Ibiza of the East – we couldn’t agree more. From the moment you arrive on this picturesque island in the Lombok Strait, you are swept into it’s lively social atmosphere and Bohemian-chic-meets-Rastafari island attitude. 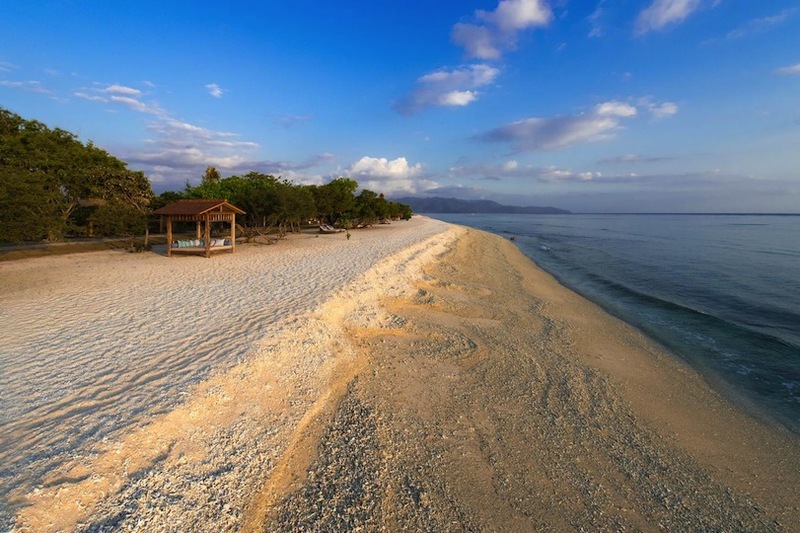 The largest of the three Gili Islands which attracts the greatest number of visitors is famous for legendary full moon parties, epic party nights, and mind-blowing snorkelling. You know, to cure a hangover. Visitors flock to the sparkling shores, largely in groups, for the legendary Gili Trawangan nightlife scene. It’s a tropical island soirée that’s all about psychedelic dance parties that don’t stop till the break of dawn (or as long as it takes for the mushrooms to wear off). Yes the rumours are true. 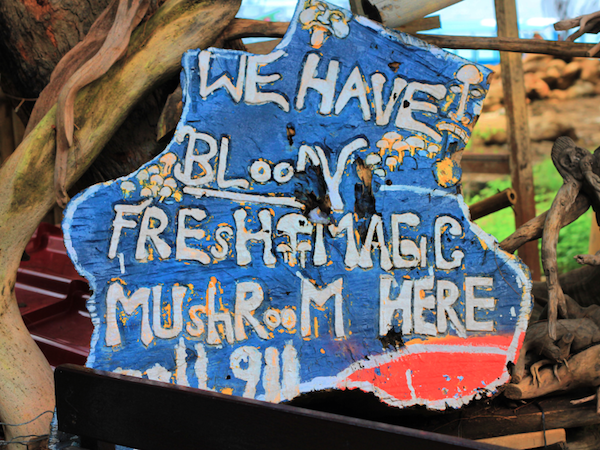 Trippy mushroom milkshakes are the poison of choice, served barely chilled in hippie mushroom shacks around the island’s bars and party venues. It’s all that and a spot of outstanding snorkelling thrown into a beautiful island getaway that’ll inspire your next blowout in paradise when you’re back in the real world. Boo. 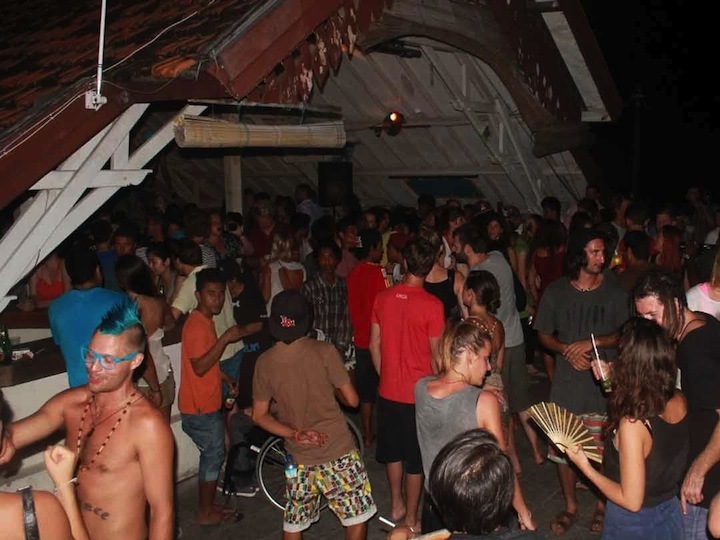 Want to check out Gili Trawangan’s nightlife but don’t fancy getting overly involved? No problem, Gili T has you covered. Retreat from the crowds in the northern tip of the island where you’ll find quieter surroundings and the warm glow of bonfires on the beach. Stroll to the west coast of the island and you’ll arrive at a clutch of luxury resorts and boutique island retreats. Take a seat in the oceanfront bar, reflect over a magnificent vista as the light of day fades. Then move onto a sophisticated cocktail and dinner menu (we highly recommend sampling from and lingering at FiveElements Resort and Wilson’s Retreat). What else to do in Gili Trawangan you ask? We’ve compiled a handy list of 25 things to do in the Gilis on island time, but nothing beats the simplicity of a sunset walk around the island, followed by a sundown tipple. It’s a rite of passage for all first-time visitors to the Gili Islands. And if you want to get a top quality photo for the mantlepiece, hike up the hill near Sunset Point for a bird’s eye view. Every night is party night in Gili Trawangan. The parties move up and down the bars along the main strip like a Mexican wave, with the major full moon parties throwing down at larger beachside venues once a month. You’ll know exactly where to go once you’re on the island. Just follow the crowds, and your ears! Bars stay open till 2am on party nights (aka every night), and till 4am if the crowds are still going. Full moon parties don’t really end, they just merge into the next day of debauchery. The main strip of bars along the boat landing are the busiest. Take a 10-20 minute walk to the northern tip of the island and you’ll find casual sunset bars and bonfires. Every bar in Gili Trawangan has a different crowd and and it’s own unique buzz. You’re bound to gravitate towards the perfect spot. Walk around the island just before sunset and check out what’s on offer. While mushroom shakes are officially legal, you will be offered all manner of illegal drugs by some shady looking characters. Listen to your intuition, aka the voice that tells you: I don’t think this is a good idea. There’s no way of knowing what’s in the dodgy merchandise. Washed down with a shot of the local spirit known as arak and your island holiday might end in the hospital, or worse. Deaths and fatal accidents are not unheard of in Gili Trawangan. Be wise and stay safe. Stick to Bintangs and mushrooms (if you must). Accommodation in Gili Trawangan is not in short supply, but the island is becoming such a popular destination that they’re barely feeling the pinch of low season. In high season, rooms fill up fast so it’s wise to book ahead. Especially if you want to score a good deal on quality accommodation. The island’s resorts and hotels allow you to book online, but if you’re looking for budget accommodation on the other hand, it pays to get in touch with them via phone or email and find out if they have rooms available. There’s no motorised transport in the Gili Islands, just cidomo horse carts – the last thing you want to do is roam around the island knocking doors with suitcase in tow. Here are a few backpacker hostels in Gili Trawangan and their contact details, in case you get stuck. 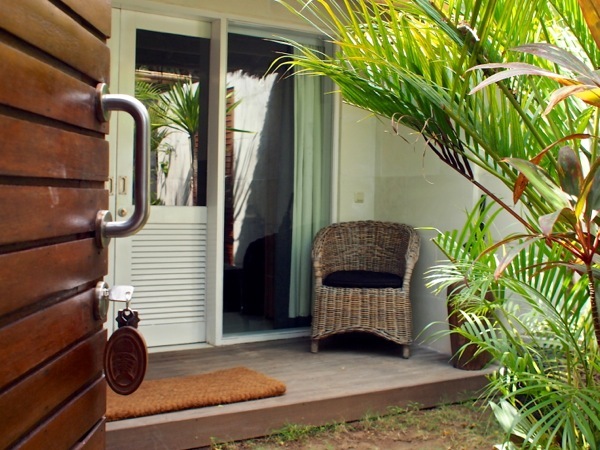 The cheapest accommodation in Gili Trawangan is in the village near the boat landing. There’s a few hostels that go for just IDR70,000 a night and humble guesthouses charging between IDR200,000 – 300,000 per night for a private room. 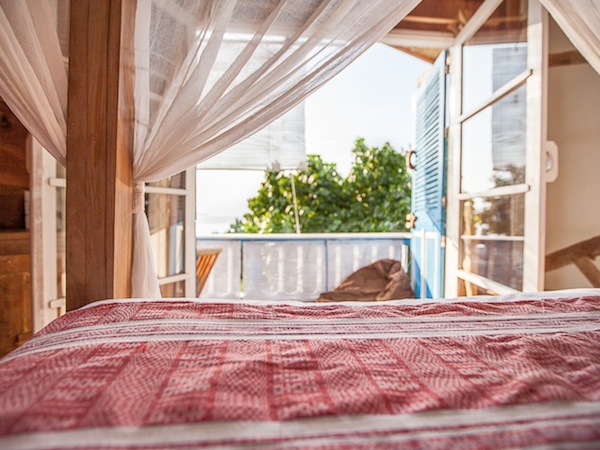 Classic beach bungalows are dotted along Gili Trawangan’s east coast and typically cost IDR450,000 – 600,000 per night for an air-conditioned room. The more desolate west coast caters to private villas and high-end resorts which start at US$120 a night. Don’t listen to the rumors. Gili Trawangan is a well-oil tourist trap with ATMs all around the island (we stopped counting at 10), decent Wi-Fi, internet cafes and surprisingly good shopping. Local shops and warungs stock all the essential sundries (toiletries, slippers, sarongs, swimwear, snorkelling gear, hammocks). Plus, you’ll find an impressive collection of upmarket fashion boutiques and gift stores dotted along the main strip. There are also plenty of moneychangers on the island and two small clinics. You’re all set. The best restaurants in Gili Trawangan are Blu da Mare for Italian cuisine, and Scallywags for fresh seafood grill and steaks. We highly recommended Paradise Sunset Beach Bar & Grill, they roast mouth watering chicken and serve it with a selection of platters, great views and ice blended cocktails. The Art Market, open every night from 7pm is one of Gili Trawangan’s highlights and it’s not to be missed (it’s right by the jetty). 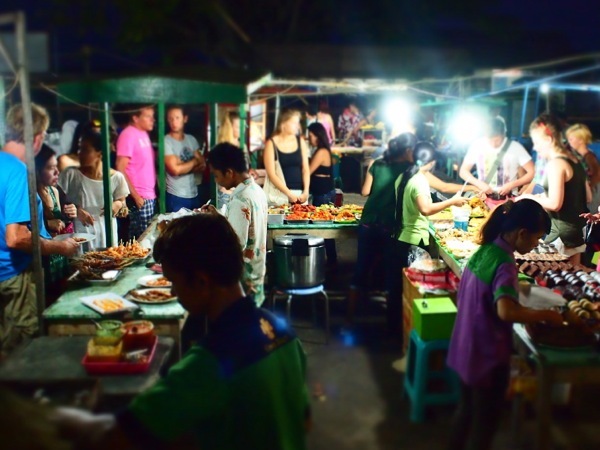 You’ll find around 20 stalls selling cheap (US$3-5 per dish) local favourites like nasi campur, satay, grilled seafood and cakes under a bewildering array of stars. Do you have a great travel tip for first time visitors to Gili Trawangan? Leave a comment below! I’m tossing up between Gili Air and Gili Trawangan. I’ve heard it’s quieter in Gili Air but how does it compare to Gili Trawangan for prices and value? Hi Ted! Gili Air is indeed quieter than Gili Trawangan. Party nights are less frequent in Gili Air, and full moon parties are held with a retro twist. The crowd is more mature in Gili Air and more laid back. In terms of value, prices for food, drinks and accommodation are the same in Gili Air and Gili Trawangan, it’s the flavours that are different! Venues in Gili Air just have a different vibe and feel than in Gili Trawangan. That’s what makes the Gili Islands so unique! Im going to Gili T in July and wanted to know if you have any recommendations for accomodation, something aroung $70USD a night, something not to far away from the night life and restraunts and somethignwith hot water and air conditioning.